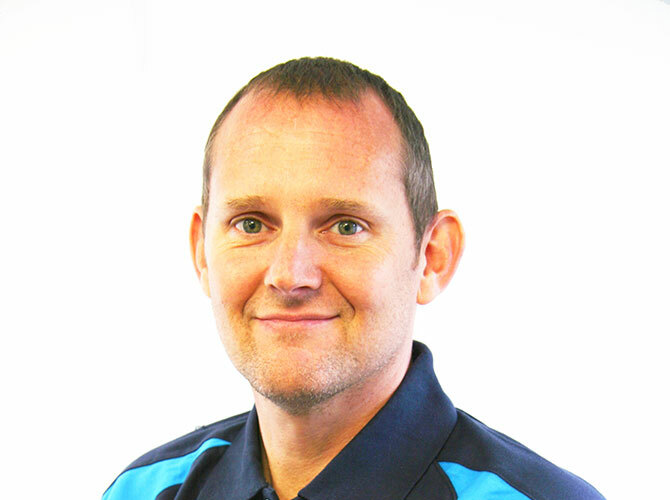 Chris has been a lead physiotherapist and business owner at Physiocentric since 2001, and came to the clinic following a 10 year career in professional football. Following his early years working in the NHS, Chris was appointed Fulham Football Club First Team Physiotherapist in 1992, and over the following decade developed the role to head up the multidisciplinary Sports Medicine Team covering the entire professional squad. During this time at Craven Cottage Chris covered around 900 professional games, and won 2 League Champions medals and three promotions. Chris has also worked with athletes from the Sierra Leone sprint team in preparation for the 1996 Atlanta Olympics, as well as acting as physio for the England Legends team for Socceraid in 2006. His work with elite athletes supplements a skill set aimed at achieving maximum results, which he enjoys applying to all musculoskeletal injuries and conditions, both sports and non-sports related. Chris will ensure your condition is carefully and comprehensively assessed, and that a diagnosis is clearly explained to you. You will be provided with an individualised rehabilitation plan that will be modified and advanced as your condition improves, and ensuring it fits in with the demands of your lifestyle. Chris utilizes a predominantly manual and exercise based approach, all with the aim of optimising your recovery, achieving your goals, and preventing recurrence of your problem. In his spare time Chris keeps fit by running, and by playing football and league cricket. He is also a Child Welfare officer and qualified cricket umpire! Chris offers clinics in both Wimbledon and Hinchley Wood.